Home → Chemicals → Johnson Diversey, ALL Ultra Powder Laundry Detergent, vending 2oz boxes, DRK2979267, 100 boxes per case. sold per case. 2 oz Single use boxes. Case of 100 Boxes. 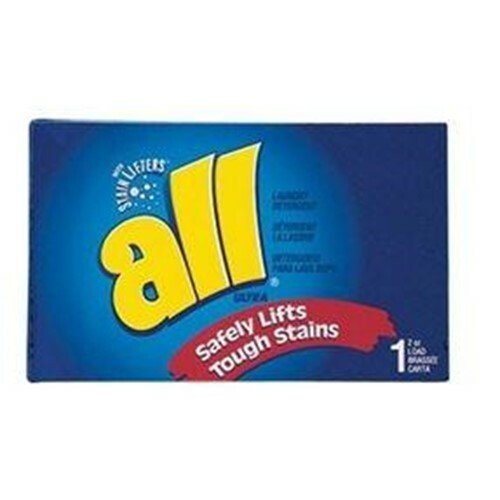 All Laundry Detergent is Formulated with Stainlifters to lift out tough dirt and oily stains. Excellent in all water temperatures.